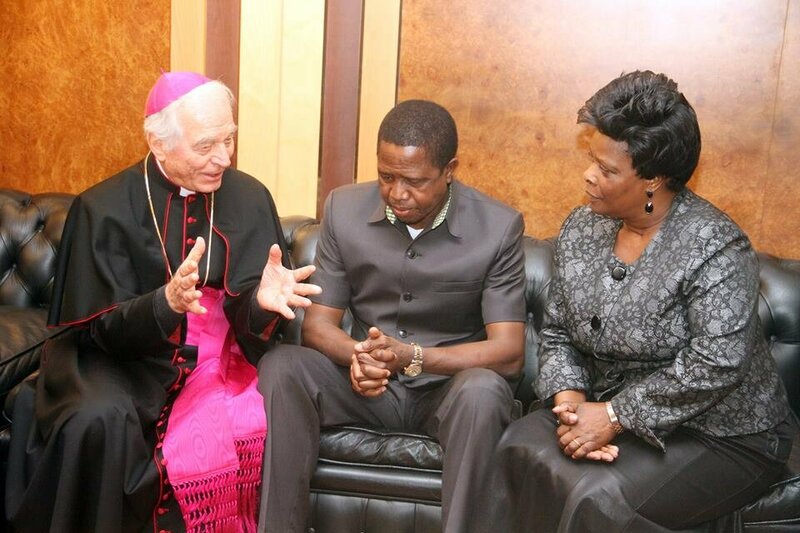 PRESIDENT Edgar Lungu has urged Zambians to continue praying for peace and unity ahead of the August 11 polls. And President Lungu said he would not respond to tabloids and individuals insulting him. Meanwhile, President Lungu was among hundreds of Baptist Union of Zambia Pastors and elders who gathered for the leader’s conference at Fiwale Mission in Masaiti. President Lungu said those insulting him were bitter because Zambians elected him as head of State despite campaigning against him. He was speaking when he arrived in Ndola at the Simon Mwansa Kapwepwe International Airport. President Lungu told scores of people who had gathered to welcome him that the battle at hand was not for him, but God’s. He said there were so many countries that were still struggling to recover from pain and anguish as a result of hate speech. President Lungu urged all party members and the nation at large to remain prayerful and peaceful even when provoked beyond measure. He said he was once legal counsel for a named tabloid but he was not bothered by their hate speech because God will deal with them. The President appealed to Copperbelt residents to remain loyal to the Patriotic Front so that it could deliver the much needed development. Mr Lungu was responding to former Copperbelt Minister Mwenya Musenge who had urged the President to deal with some media houses insulting him. Mr Musenge said it was unZambian for the media and people to print hate speech and insults on the President. And former Masaiti Member of Parliament Michael Katambo has urged residents to vote for President Lungu in the August 11 polls. Mr Katambo said President Lungu and the PF Government had done a lot for people of Masaiti to deserve another mandate. He said the PF had built schools, roads, clinics and other infrastructure to better the lives of people in the area. Mr Katambo was speaking at the Masaiti Fiwale Mission Baptist Union of Zambia conference for pastors and leaders. He said there was need for residents in the area to give President Lungu a resounding vote because he was a humble leader with the interests of Zambians at heart. And in his prayer Reverend Adamson Shamfuti asked God to prevail over the Country’s polls. 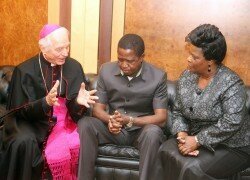 Reverend Shamfuti said Zambians must remain peaceful to secure the country’s sovereignty and national development. The president was accompanied by PF deputy secretary general Mumbi Phiri, his Special Assistant for Press and Public Relations Amos Chanda and several other government officials. The Head of State was on the Copperbelt to officiate at the Baptist Church conference and later watched a football match in Kitwe between Nkana and Power Dynamos football clubs which ended in a one-all draw.